We have been working in walking travel for over 20 years. Chemins de France has been the expert in the Way of Saint James well before the others. Chemins de France offer self-guided tours on the French Camino, but also the Puy Route and all the routes of France and Spain, The Arles Route, the Northern Route, Sevilla and Portuguese routes. We are based in the South West of France. We offer walking trips in different regions of France and Spain with a few Popular walking tours as : the Puy Route, the Piemont Route from Lourdes, the Stevenson Trail, the Regordane and St Guilhem Way, the Basque Country and many others. Chemins de France offer self guided tours on the Caminos in France and Spain for more than 20 years. Our local experts are carefully selected. Take advantage of our local knowledge and discover what we have to offer! Cécile has created the website first called Ici &Là Nature in 2010, then the partnership with Chemins de France has developed gradually.Now since 2018 we have merged our businesses. Walk and bike the Camino by Chemins de France has now replaced Ici & Là Nature. I have been working for 20 years in Tourism first in Paris, then in Provence and have a good knowledge of walking and cycling tours in France and abroad especially of the Portuguese speaking islands. Now I am based in Capbreton in the Southwest of France near Biarritz in the Pays Basque. I am the link between you and the local suppliers. "I always enjoy to answer your emails and questions and try to set up with you the trip which you dream of." 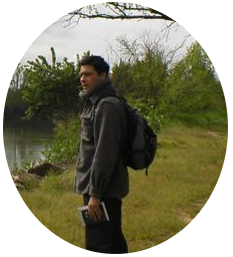 1 - Chemins de France : expert of the Camino in France and Spain for 20 years. Stéphane specializes in biking tours through the prestigious vineyards of Bordeaux, like Saint Emilion, Entre deux Mers, Arcachon Bay, and also the Cognac region. Mainly self-guided programs with charming hotels carefully chosen by this lover of Bordeaux and wine regions ! Lionel a mountain guide, has established itself as one of the world's leaders in snowshoeing and was the first to propose the Tour du Mont Blanc as a self-guided tour. Located in the Charteuse massif in Savoy. Since their creation, they have had the clear will to hold strong values regarding local rural life and a strong tie to the environment. Their top destinations focus on the Alps, Chartreuse Massif and Beaujolais area. Jean Marc organizes guided trekking in the Pyrenees.He lives in a small village in the heart of the National Park of the Pyrenees. 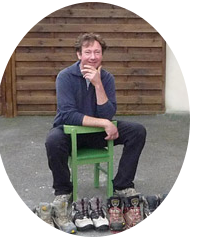 He works as a guide and assembles beautiful and varied programs over the whole Pyrenean range. From Basque Country to the Mediterranean side, along the GR10, from the Northern French side to the deserted Sierras of Spain. Walking during the summer and snowshoeing in winter, the Pyrenees are a paradise of diversity for hiking lovers ! Joël has a long history in walking. 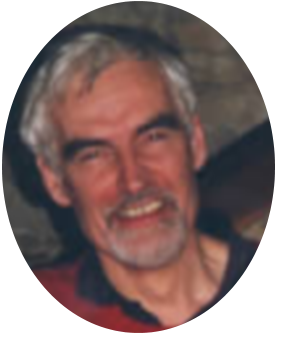 He worked with an association promoting walking in Brittany : creating walking itineraries along costal Brittany with signage, writing walking guides and organizing events promoting the activity. In 1992, Joël created a walking tour operator working with French and foreign operators offering trips in Brittany. Created in 1992 our local agency expert of Provence quickly found itself the walking specialist in the south of France and in Italy, where many of their trips in Tuscany were some of the 1st on the French market. Located in an Alsacian village this Company was created in 1998 and is a real expert in walking and cycling tours in Alsace. Their tours have been resold by the main European Cycling Tour Operators and are now available to you in English through this website. As far as Alsace is concerned you can trust them ! 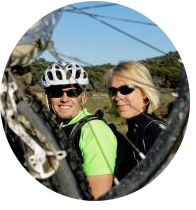 Hike and Bike is run by Wayne and Heather who live in the town of Ronda and have excellent knowledge of the off-road cycling and walking trails near Ronda and through the unspoilt Natural parks which surround it. They specialise in fully supported guided bike rides and walks and like nothing better than sharing their best routes with their guests. Minibus support throughout the tours means that every day’s riding experience is optimised. Wayne is a fully qualified British Cycling Mountain Bike leader so will ensure that your riding is always interesting, safe and, above all, great fun! David has been travelling a lot and run many companies until coming back in the family business in the Vercors region where they propose many bike tours and trekkings throughout France and Germany! 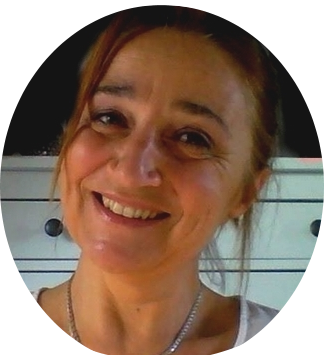 Françoise is our expert of the island of Madeira with nearly 10 years of experience on this island belonging to Portugal. Expert of all kinds of holidays on the island particularly walking, mountain biking trips. Guided groups or private guided tour for 2 persons or more, self-guided walking tours, Françoise, the owner can customize your trip. Used to working with the most important Tour Operators in France, this is your ideal partner on this marvellous part of the globe. Created in 2005 by Anthony, this Company is located in Borgo, northern Corsica and are experts in walking, cycling, mountainbiking tours.